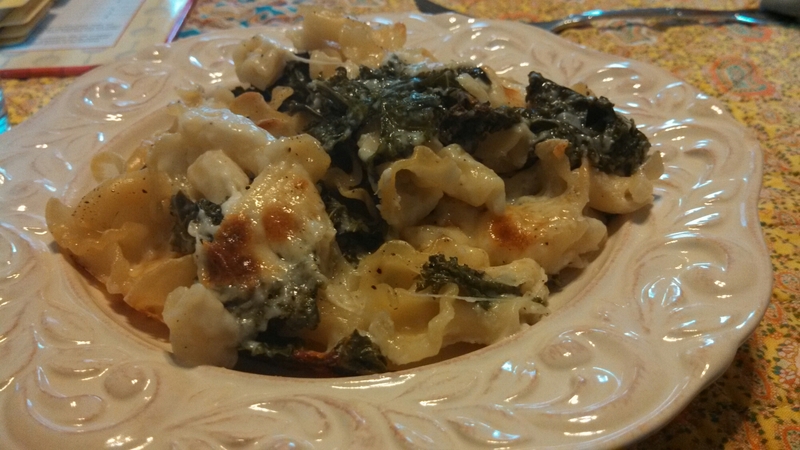 We made it…As written, with the campenelle and kale and splurging for fresh mozzarella. We ate it…3/4 pound of pasta tends to yield 6 servings or 3 meals for the two of us. We thought…This is cheesy, but not too cheesy. It’s crunchy, but not too crunchy. It’s different warmed up, but still delicious. The exposed kale edges get a little like kale chips and you get your greens in. It’s easier and faster with two people, but doable in a pinch with just one.